The National Library of Wales is today launching a number of Peniarth Manuscripts in digital format: they are available here. To mark the 350th anniversary of Robert Vaughan’s death in 2017, the Library began a piece-meal digitisation of all 560 manuscripts in the Peniarth collection. This is in tribute to the founder of the Hengwrt library, and an acknowledgement of the importance of this, the Library’s ‘foundation collection’. In what order are your digitising the manuscripts? (2) new appearances by the smallest manuscripts (‘size A’) in the numerical range of 1-70. Will I see hitherto unseen images, previously hidden on parchment leaves? No. The manuscripts have been digitised to high resolution, ‘as they are’, without digital manipulation. Therefore, no ‘new’ discoveries have been made. Revealing techniques such as RTI digitisation depend on extra resources, which are unavailable in the Library at present. Readers of Peniarth manuscripts are thus warned that texts MAY be more legible in manipulated microfilm images in the Library Reading Room! What is the digitisation timescale? As no extra funding has been obtained for the work, manuscripts will be digitised as-and-when resources allow, i.e. around prioritised project work and funded requests. This means that we cannot give a time-frame for the delivery of the project, or for images of specific manuscripts to appear. How will I know when a manuscript in which I am interested may become available? Good question! Follow the order of releases, and a pattern may become apparent. You are also welcome to ‘lodge your interest’ by contacting the Library. We will endeavour to let you know when your manuscript is about to be published. However, you must give us your permission to log your personal data (including email address) when following this route. Can I ‘jump the queue’, and ask you to digitise a specific manuscript out of sequence? By all means ask. However, in fairness to other users, we will probably then ask you to pay for the digitisation of that manuscript! Best advice with this project is – ‘be patient, and your manuscript will eventually appear’. 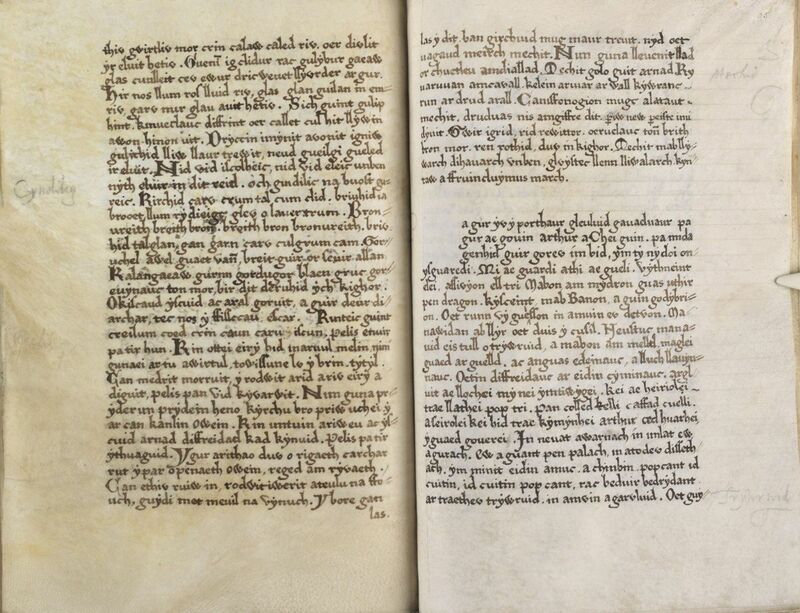 Which manuscripts will you be digitising after the Peniarth collection? Good news – we are unlikely to run out of manuscripts! The Llanstephan, Cwrtmawr, Bodewryd and other collections await their turns. What else is happening to the Peniarth Manuscripts? Many are being catalogued anew by Dr Daniel Huws for his forthcoming Repertory of Welsh Manuscripts and Scribes (due 2019-20). This new resource will make many of our online catalogue descriptions obsolete, and will necessitate a re-consideration of our metadata. In the meantime, our current catalogue descriptions are available here. You are welcome to contact us with new discoveries relating to the manuscripts, if they arise from your own research. What else is happening with manuscripts at the Library? Watch out for our Mostyn season in 2018, and for a series of new web-pages on the Library’s medieval manuscripts which will be published during the year. Keep watching our social media platforms for the latest news.